Simply GORGEOUS Women's Extreme High Heel Open Toe Slipper Platforms With Bow. Dance the night away in these comfy slip-ons with lots of razzle dazzle. 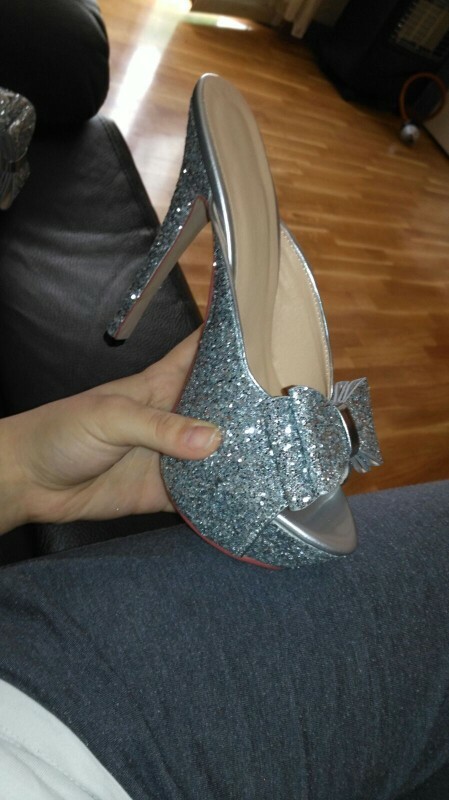 These are also great wedding shoes for you or your bridal party. We're loving the PINK!